Taiwan is one of the best beach places in Asia for teaching English. Taiwan's east coast and the very south are the place's to be for great beaches and natural beauty. It's also where you will find the best surf. There aren't many waves on the west coast of Taiwan and it's not very attractive. Finding a job in these locations is not usually easy since they are all in relatively small towns/cities. But if living in a beautiful coastal place is important to you then here is where you can look. Hengchun is located in the very south of Taiwan. 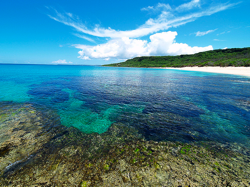 It is close to Kenting which is a famous spot for tourists, travelers and beach lovers. It's definitely beautiful down in Kenting. Finding a job in Hengchun would not be easy. It's pretty small - around 30,000 or so. Taitung is awesome. It's located in the southeast of Taiwan. It's a city of around 100,000 people. There are a number of beaches outside the city and it's the gateway to both Green Island and Orchid Island. I took a boat out to Green Island. Everyone told me that people throw up on the boat. I didn't think it would happen to me. I managed to survive the ride until I stepped off the boat on Green Island and threw up. Green Island is beautiful, so it was worth the pain. 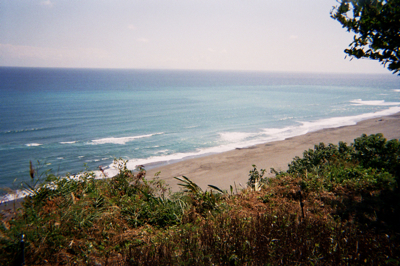 Taitung is also relatively close to Kenting in the south and Hualian to the north. While in Taiwan I never saw a job advertised there, yet after visiting I saw that there were indeed cram schools around the city. Hualian is a bit more populated and based on that it would probably be a little easier finding a job there than in Taitung or Hengchun. It's a nice place and there are some stony beaches just outside of town. It's also close to Taroko Gorge. Ilan has some decent beaches and Turtle Island can be seen offshore. I have occasionally seen jobs advertised here on Tealit. The Penghu Islands are not on the Pacific east coast, but they lie in the Taiwan Strait between China and Taiwan. There wouldn't be as much surf and it's not quite as spectacular as the east coast. I have occasionally seen jobs advertised here on sites like Dave's ESL Cafe. You'll have to be there to find a job teaching English in one of the locations above. Which is basically the same for Taiwan in general, however the difference is that you'll almost never see a job advertised on Taiwan sites like Tealit in a really nice place. You'll have to go to that town and go door to door to buxibans and public schools (if you are a licensed teacher). On the other hand you can try your luck with a recruiter. Dewey is a pretty big recruiting company that places teachers in schools in Taiwan. You can contact them and tell them where you would like to teach. However, I would not rely on them as your sole means of finding a job there. I would do it the old fashioned way and go door to door. Not sure Taiwan is for you? 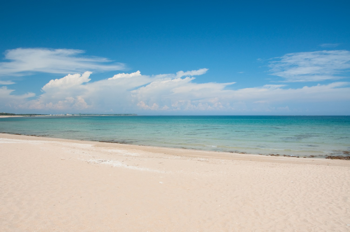 Then check out The Best Beach Locations for Teaching English in Asia.